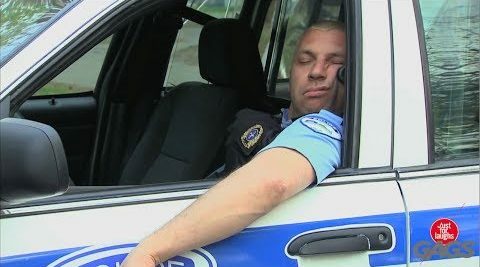 Sleeping on duty is a serious offense (photo from YouTube). A few weeks ago the Force Science Institute posted an article about Restorative Sleep. The concept of Restorative Sleep involves scientific studies on the devastating impact to the human body and mind for officers and other emergency personnel who are required to work the overnight shift. The overnight shift more than any other is associated with fatigue and sleep deprivation. In recent years there has been an abundance of new research into the phenomenon of fatigue and particularly sleep deprivation. The signs, symptoms, and outcomes of sleep deprivation are extremely troubling, especially for emergency personnel who are often required to work odd shifts, overtime, and under conditions that prevent proper rest. EDITOR’S NOTE: The Force Science Institute has given BlueSheepDog expressed and written permission to republish a full article on this subject from FS News #323. BlueSheepDog is a huge supporter of the efforts of The Force Science Institute to research and advance the understanding of human dynamics in high stress situations. This concept of Restorative Sleep is incredibly important for law enforcement, and other high stress overnight occupations. We encourage all of our readers to subscribe to the free twice monthly Force Science newsletter by visiting www.forcescience.org or by e-mailing [email protected]. Day shift officers are not immune. Anyone who work a lot of overtime can also be victims of sleep deprivation (photo from YouTube). A sleep disorder preventing enough sleep or causing poor quality sleep. In Force Science News #276, FSI reported on a Washington State University research project involving sleep deprivation and decision-making. Two groups of healthy volunteers aged 22-40 were selected. One was allowed regular sleep, while the other group was subjected to sleep deprivation. Not surprisingly the group that was subjected to sleep deprivation performed worse during their sleep deprived time period (a whopping 62 hours without sleep), in what the report called “striking differences in performance emerged.” However, even after the sleep deprived group was allowed two rest days with 10-hours in bed, the group continued to suffer cognitive function difficulties, with “significant differences” than the control group that had regular sleep throughout the study! Having embarrassing photos taken is not the worst thing that could happen while asleep (photo from YouTube). Anyone who has worked a midnight shift, rotated shifts, or has had to work a lot of overtime to cover unexpected expenses (or just make it), knows that sleep deprivation is a killer. When I worked on midnight shift for about a year and a half my body never transitioned. I would be dead-dog tired at 0400, barely able to stay awake standing or even form complete sentences, but on the drive home with the sun up my body would say it was time to be up. Over time I became tired all of the time, even after 10-12 hours of sleep. I became grumpy, moody, and angry. My body literally ached all of the time. There was one time I was car-to-car with two of my officers. They were having a conversation that I was out of for a few minutes. In that short amount of time I turned into a zombie. When one asked me a question, I remember trying to process the words in my head, and force my mouth to speak. I started talking and dozed off mid-sentence literally trying to think of what I was saying. Funny? Yes! Dangerous? Absolutely! Another time I remember getting angry and even cursing out loud that the red light wasn’t changing with no other traffic present. I was stopped at a 4-way stop sign intersection. Needless to say, I went straight back to HQ for coffee and to get off the road. My midnight officers said they “loved” my “midnight Sergeant,” and at times I was spot on in cutting through the bull crap. However, most of the time I had a nagging concern that I was not going to make the right decision in a critical incident due to sleep deprivation. 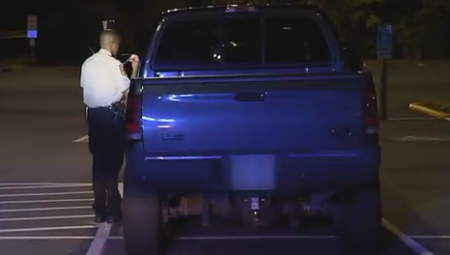 Reduced lighting, hot calls, and higher criminal activity during night shifts are very taxing on the body (photo by Fairfax County, VA Police). While a midnight Sergeant I had a standing agreement with my officers. If they were so tired they were falling asleep they were to contact me and I would either sit with them in the field, or better stay with them at the station so they could catch a power nap. At the same time I warned them if a civilian or I caught them sleeping outside of this agreement they could expect to sign paper! 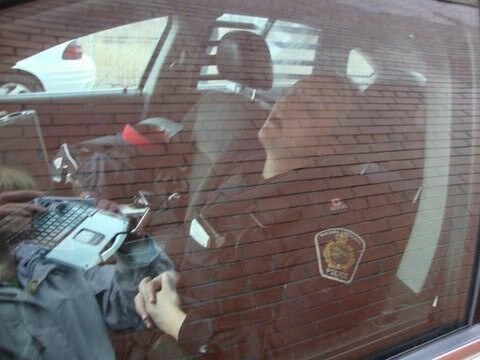 Napping while on the clock has long been a taboo in policing, fraught with fears of embarrassing photos of officers dozing in squad cars going viral and angry citizens denouncing “lazy cops” for shirking their tax-paid duties. But now under the name “Restorative Rest,” a department in Nevada has officially endorsed the practice with what may become a trend-setting policy. In a program that’s believed by its creators to be unique, the Henderson PD near Las Vegas is providing secure rooms where tired officers can grab 40 winks on duty to fuel a resurgence of mental acuity. “We truly believe this is going to save the lives of officers, lead to better decision-making and performance on the street, reduce liability for the department, and stand the test of public scrutiny,” says Capt. Wade Seekatz, a certified Force Science Analyst and one of the prime movers behind the anti-fatigue effort. Earlier this year, Seekatz and Chief Patrick Moers presented details of Restorative Rest to a briefing at the White House from the Task Force on 21st Century Policing. Initially, “everyone gasped when we said we allowed officers to sleep on duty,” Seekatz remembers. But afterward, he and Moers were urged to enter the program for an Officer Safety and Wellness Award next year from the Destination Zero risk-reduction project, sponsored by the National Law Enforcement Officers Memorial Fund, the DOJ’s Bureau of Justice Assistance, and the VALOR Initiative. “Every law enforcement agency that has a graveyard shift is dealing with a fatigue issue, officers falling asleep at work. It’s the reality of shift work,” Seekatz told Force Science News. Several years ago when he was a graveyard patrol lieutenant and Moers was his captain, the two began discussing ways of addressing the problem, which at that time was most dramatically manifesting itself in a persistent series of squad car crashes and “a lot of near-misses” in which officers nodded off behind the wheel. One incident in particular, which involved a collision with a civilian’s Porsche, “got a lot of attention from the city,” Seekatz recalls. “We kicked ideas around and reached out to other communities, but couldn’t find anything that seemed to offer a realistic solution,” he explains. By attending the Force Science certification course, he says he gained greater insight into fatigue-related human factors. “That was the missing link that helped me better understand the correlation between drowsiness and its impact on diminished performance,” he says. Their discussions intensified after Moers became chief and Seekatz last year was promoted to captain and also was appointed chairman of the department’s risk-management committee. Ultimately they crafted a pilot program that launched last December. After 90 days of field-testing and minor modifications, it has segued into a policy-based, permanent feature of department operations. Henderson, Nevada’s second largest city, with a population of more than 280,000, has about 365 officers assigned to patrol. Typically 25 to 30 are on the street for the overnight shift, which runs from 2200 hours to 0800. To discourage stolen naps behind buildings or in parks, the Restorative Rest program provides fatigued officers refuge in authorized secure rooms in four municipal facilities scattered across Henderson’s three patrol sectors. A tired or stressed officer or supervisor in need of rejuvenation can ask to be “dispatched” to one for his or her normal lunch hour and, with approval, remain there for any portion of the allotted 60 minutes. Each room is equipped with a restroom, kitchen, phone, desktop computer, and two Barcaloungers (scrounged for the program from the local Fire Department). Only one occupant is permitted in a room at one time and only one officer or supervisor from each sector is allowed Restorative Rest at any given time. For safety purposes, the exact locations of the rest spots are not identified in the department’s printed policy and radio communications regarding them are transmitted with a special code. “Obviously, we are not interested in setting up an officer for an ambush,” Moers says. The fact that Restorative Rest is restricted to lunch breaks does not mean that participating officers have to forego a meal. If they don’t have something to eat in the rest spot, “they can grab food at a drive-thru or brown-bag it in their car” while patrolling, Seekatz says. To date, the program has not been announced to the public, but the PD is expecting shortly to post all its policies on its website, including Restorative Rest provisions. With education about its purpose, Seekatz and Moers expect a positive response. Dr. Bill Lewinski, executive director of the Force Science Institute, recently sampled one of the resting spots on a visit to Henderson and found it “amazingly comfortable and definitely conducive to reviving flagging energy. “Research on the physical and cognitive importance of sleep has been abundant over the last 30 to 40 years,” he says. “One study found that up to 80% of decision-making errors and accidents in the police world are linked to fatigue. Our thanks to Sgt. Jamie Borden, a Force Science instructor and use-of-force training and analysis specialist with Henderson PD, for helping to facilitate this report. Sleep Deprivation is no joke, and we encourage every officer to seriously monitor their work load and sleep times while working over night shifts. Often we don’t have the choice on which shift we work, so if you’re stuck on midnights make sure you consult your doctor and maintain a healthy eating and work out routine. This Restorative Sleep program seems to have real merit, and meets the goals and needs of both the department and the individual officer. Science is finally starting to penetrate the long-standing wall of impermissibility for officers sleeping on duty. Although I am still adamantly against officers finding hiding places to sleep on duty, I could easily fully support a Restorative Sleep Program like the Henderson, NV Police have instituted. Programs like this are scientifically proven to be healthier for the overnight workers, and anyone they should come into contact with during their shift. Under strict confines, the program does not violate the department’s goal and need to have officers available for patrol and calls for service. The profession has needed the science behind this for decades!